Honestly, I got nothing here. Not quite sure of what this is or who built it. But here it is. Apparently, it sits next to the highway for all to see and visit. I called one of the two businesses in the booming town of Why and the gentleman I got on the phone had no clue either. Not only did he not have a clue, but he didn’t know anyone in town who knew anything about it either. Which in itself make speak to something. I’ll make an update after I explore it first hand and have a chance to speak with the townsfolk in person. 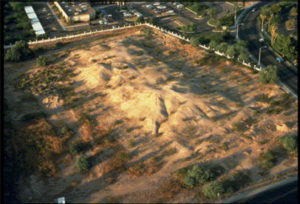 It was upon the crumbled remains of these ancient platform mounds or “Pyramids” the founding fathers of Phoenix decided on a name for their new town. 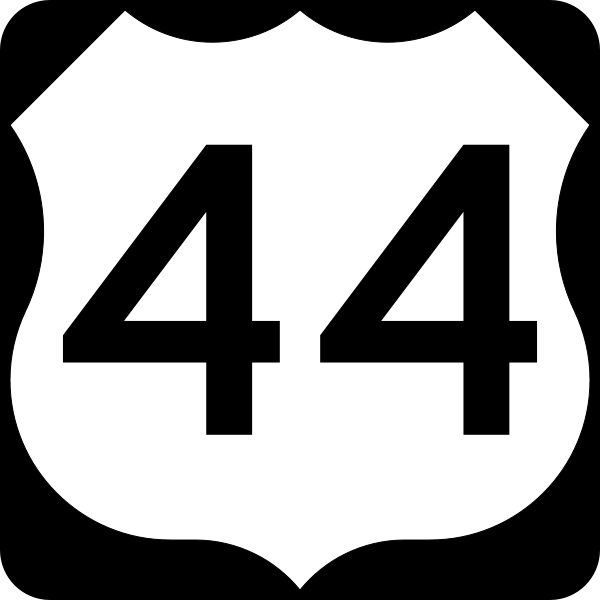 The day was carried by Lord Darrell Duppa when he suggested the name, as it was his dream that a new city would rise from the ashes of this ancient civilization. and once again thrive upon the harsh desert of the American Southwest. 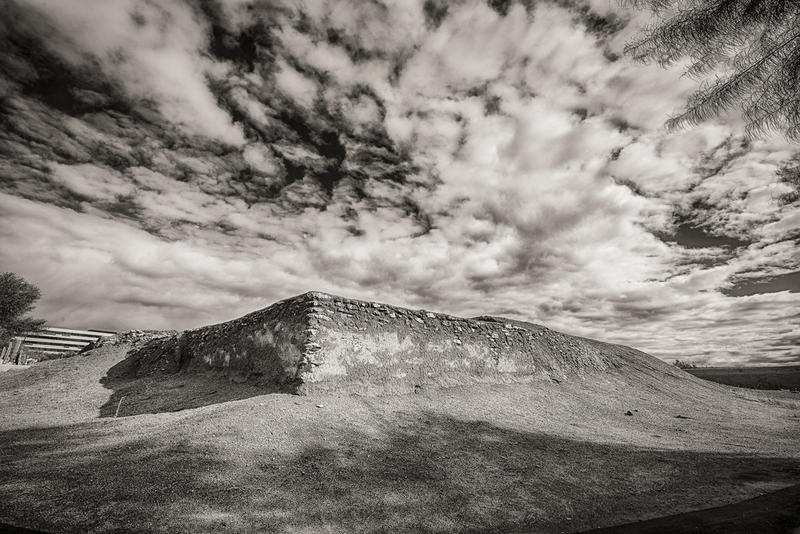 These Pyramids or “platform mounds” as archaeologists like to call them are some of the only remaining structures of an ancient culture known as the Hohokam, a people who lived along the Salt River valley from roughly 300 BC – 1425 AD. They were farmers, traders, and I suspect a whole lot more. Originally, 48 of these structures were discovered along the primary “Trunk canals” so named because they truncated into the Salt River. These canals supplied water to a rather elaborate graduated canal system which irrigated roughly 100,000 acres of planted farmland. The tragedy, however, is that much of the remains of this civilization was destroyed by early American settlers. It’s been noted in city records that in the early days of settlement, any land which had one of these platform mounds or canals upon it was deemed less valuable as the owner would have been required to clear the land before it could be utilized for farming. Today there are three of these Pyramids remaining. Pueblo Grande, located at 44th street and Washington. Mesa Grande, 1000 N Date, in Mesa, and a much less accessible site known as Snaketown, located within the Gila River Indian Community. The first two are museums and open to the public while the third is not as the Gila tribe chose to preserve the site by reburying it after early excavations. The Valle Pyramids. Two to be exact, and like everything else in this quirky little town on the way to the Grand Canyon, they seem out of place. The town of Valle itself is a hodgepodge of eclectic eccentricities surviving on migrating tourists. The most famous and hideous of which is the roadside attraction “Bedrock” where one can still get a cup of coffee for 5 cents. But, there is also the out of place airplane museum. If I had a nickel for every time I’ve driven through this town on a tour I’d be a nickelaire at this point, but I digress. 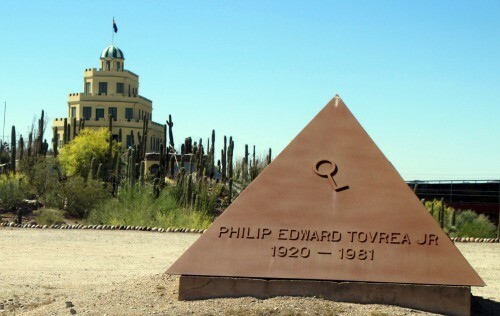 It was on one particular trip through this town I decided to stop by the pyramids and get the scoop. As it turns out, the structure is currently being utilized as a hardware store. 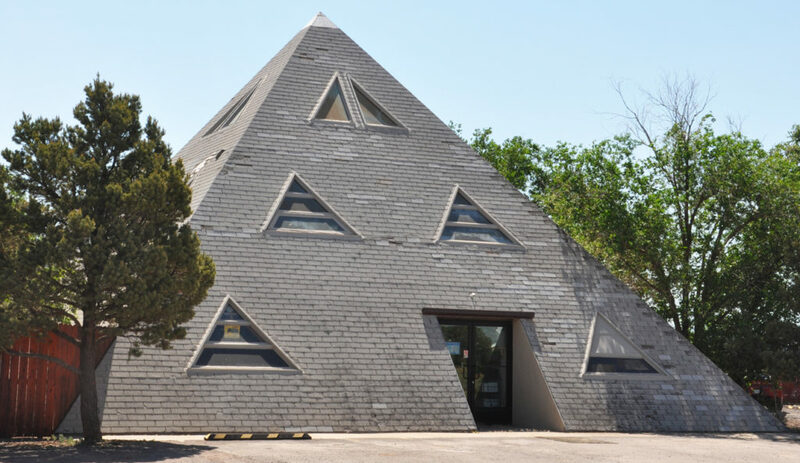 I spoke with the owners and discovered that the original owners and builders of these pyramids had built them for quite a different reason however. Apparently, they were into healing energies and metaphysics and designed the structures to facilitate this goal. The front (western) pyramid was originally the house and the smaller one to the east, a greenhouse. I asked for a tour and the owners were happy to show me around. The greenhouse is primarily being utilized for storage at this time but I could see how it would have been absolutely beautiful at one point with all the greenery and the sun coming down through the sides of the pyramid. 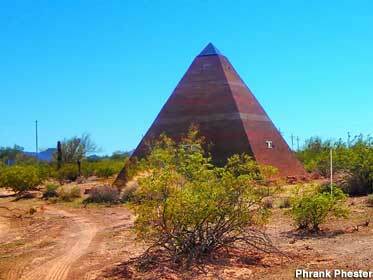 So, although these pyramids were designed and built as a home and not the tool of a Masonic order. Their intended usage remains the same. Like all other pyramids on Earth, they were designed to harness and focus energy.